If there’s one National Olympic Committee (NOC) that’s feeling quite at ease with less than three months to go until the start of the Minsk 2019 European Games, it’s Poland. 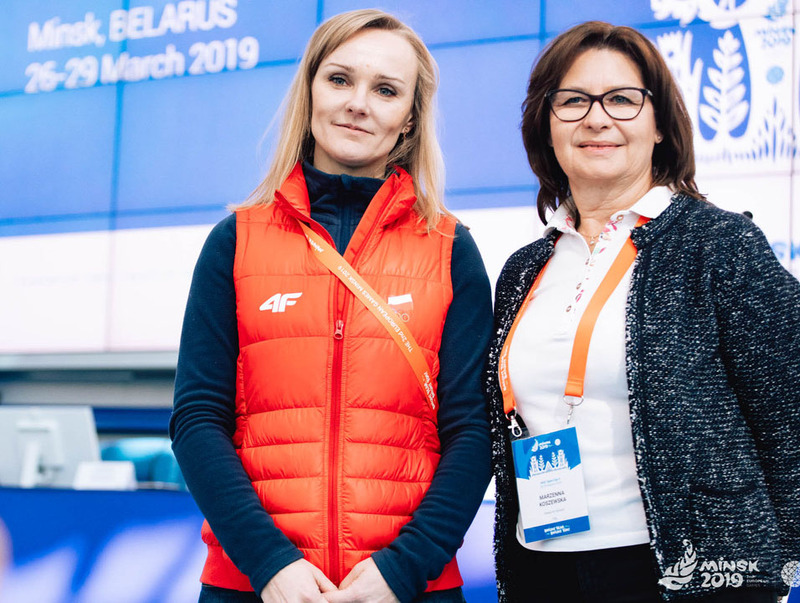 Representatives from the Polish NOC joined counterparts from around Europe this week in the Belarusian capital for the third NOC Open Day to learn more about the final preparations for Europe’s premier multi-sport event, scheduled for 21-30 June. And judging from a conversation with Chef de Mission for Team Poland Marzenna Koszewska and Olympics and Olympic Solidarity Projects Manager Joanna Huzarska-Tomaszewska, almost everything seems to be on track for a successful showing from the Polish contingent this 21-30 June. That should definitely give Team Poland, whose delegation at Minsk 2019 is expected to number between 230 and 240 people (around 145 of whom will be athletes), an extra spring in their step when they arrive for the Games. Twelve world-class venues will host 15 Olympic and non-Olympic sports at the Games, where over 4,000 of Europe’s best athletes will compete in 199 medal events. Even when not competing, the athletes are likely to feel extremely comfortable in their new surroundings. One major improvement noticed by many of the NOC delegations this week was the progress made in the refurbishment of the Athletes’ Village at Minsk University, which was all very much a work in progress the last time they visited. The third and final NOC Open Day concluded today after two days of meetings on operational aspects and technical details. Participants were also given a venue tour on Day One, and a city tour on Day Two. The next event for the 50 European NOCs that will take part at Minsk 2019 will be a Communications Managers Seminar in Minsk from 25-27 April.